New nonfiction books for middle school readers are ready to be added to the collection. Check to see what’s new by clicking on the Destiny Collections or PDF links. Here are some new nonfiction books that have been added to the library. You might like to also browse the new books on the High School page. These books (hover over the images to see the call numbers) are going on display and will be ready to check out from the library. Here is the latest addition to our collection of books for Middle Schoolers. Some of these are sequels to popular Sakura Medal books. Be sure to check them out! 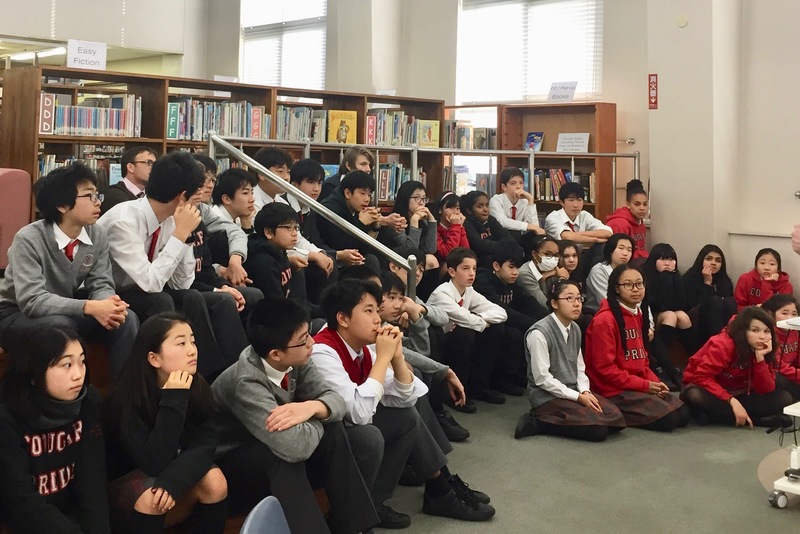 Yesterday we had the honour of hosting Adam Gidwitz in the library for a session with Middle School students. 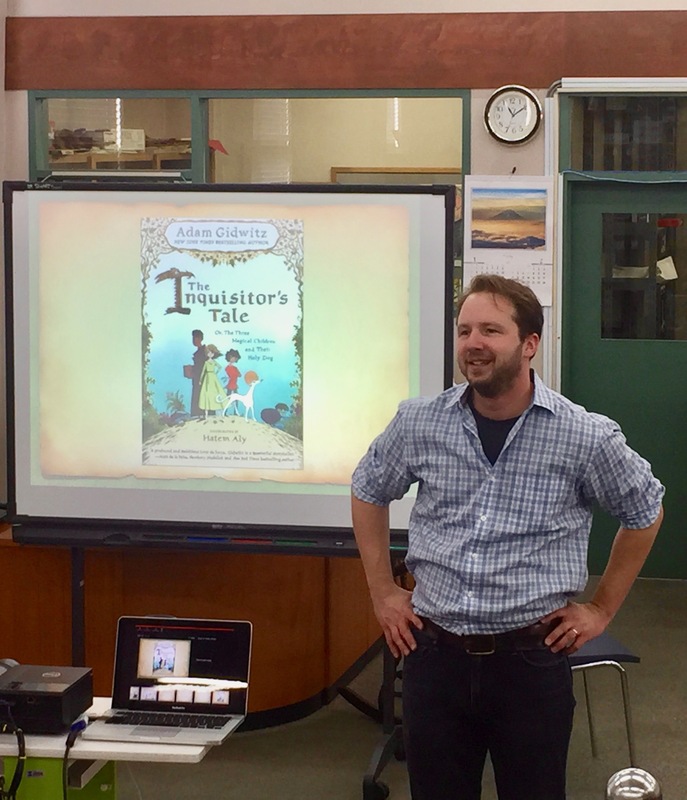 Adam talked about his Newbery Honored book The Inquisitor’s Tale (which is also on the Sakura list this year) and life in Medieval Europe, culminating in a question and answer session about writing, being an author and publishing books. Adam’s books can be checked out from the library. Here are some of the new additions to the library collection. These books will be going on display next week and will soon be available for borrowing. Also check out what’s new on the High School page, as you may find something of interest there. 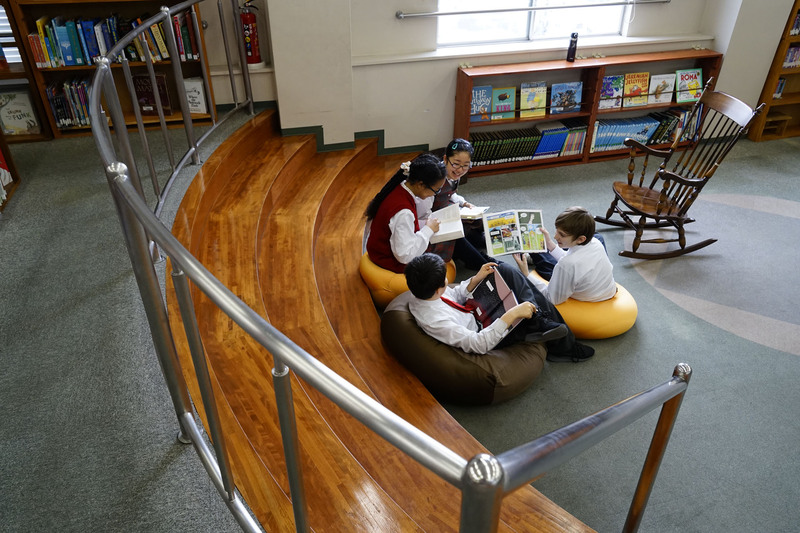 Check back here often for updates about new resources for middle school students and other library news.